Taking the responsibility of public safety very seriously, the Oregon Department of Corrections makes a selective share of offender information available to the public upon request. This service to the public is provided in the spirit of best interest but the Oregon Department of Corrections gives no warranties or takes legal responsibility of complete accuracy of the provided data. In case the finder uses the information from this system, it must be verified on individual basis so as to avoid any issues. The webpage is frequently updated in order to record the changes that take place in the cases. This also may cause error in the displayed information; hence, all the more reason to individually verify information before any use. The website provides two very simple and easy to use options to locate inmate finders; you can either use the first, middle or last name, or use the SID number to find an inmate. The Name each has the option to enter partial names as well in case the entire name is unknown to the finder. This can be done by following the name with an asterisk (*). For example, if you type John*. Your search will yield results of all inmates with that first, middle or last name. Similarly, if you type St*, the displayed results will include all names with ‘St’. This can assist the finders who want to track impersonal cases. State Identification Code gives an individual and unique identity to all the State residents; hence it can also be used to locate inmates housed in various facilities of the State. 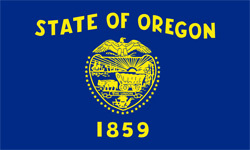 The records are property of the Oregon Department of Corrections and cannot be used by anyone else under ‘official’ reference. Any misuse of the information taken from this system is liable to legal prosecution and charges. Since you know this Oregon inmate was transferred from EOCI or Eastern Oregon Correctional Institute and transferred to a Salem Oregon Prison or Correctional Institute you can contact the Oregon Department of Correctsions or use their Free Oregon Offender Search.